Nepali migrant workers die in Malaysia - Integration Through Media ....! KATHMANDU: Two Nepali migrant workers died when a bus they were travelling in met with an accident in Malaysia. The incident occurred when the ill-fated bus skidded off the highway and fell into a drain in Selangor at around 11:30 pm (local time) on Sunday. 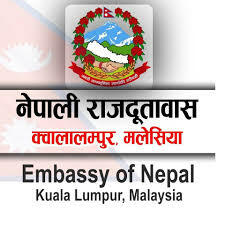 Deputy Chief of Mission at Nepali Embassy in Kuala Lumpur confirmed that the two Nepali nationals working at a local company called Mass Cargo died in the road accident. “One Nepali died on the spot while another breathed his last during treatment at the hospital. We are trying to verify the names of the deceased,” Kharel told Republica Online by phone. He said that the embassy will facilitate to send the dead bodies to Nepal. The incident took place when they were heading towards their workplace from the hostel. In the same incident, eight Bengali and three Indonesian migrant workers died.